When faced with the massive crises of our time, the most logical response is paralysis. What can an individual possibly do about something so massive and complex? But what if people could manage to imagine changes that matter within their own lives, and then to grow and federate them? My colleague Anna Grear, a law professor at Cardiff University, and I wanted to focus on some of the positive, practical steps that anyone can take in dealing with the terrible challenges of our time. One result is a six-minute video that we are releasing today. The video is based on a series of interviews with participants in a June workshop called “Operationalising Green Governance.” Held at a lovely retreat center north of Paris, a handful of participants – international law professors, human rights advocates, activists – were interviewed on camera by Ibby Stockdale, Director of a British film production company, Five Foot Four. Ibby brilliantly distilled hours of interview footage and crafted a succinct, beautifully produced message. The short film, “Re-imagine the Future,” is now posted online and can be watched here. In six minutes, it’s difficult to cover too much ground – so in the closing frames of the film, we provide links to two dedicated webpages – Anna’s and mine -- to provide resources, organizations, essays, books, etc. for those interested in exploring the film’s themes more deeply. We hope you like the film – and would welcome whatever pass-along visibility you can give it. 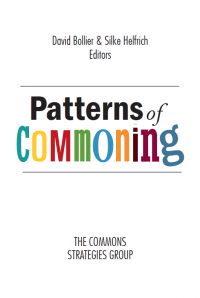 Read more about Patterns of Commoning is Now Published! Kester Brewin, a teacher of mathematics in South East London, was wondering why his son has been invited to countless pirate-themed birthday parties, but not any aggravated robbery themed parties. What's the reason for our fascination with pirates? Brewin’s answer is an amazing 13-minute video talk for TEDx Exeter (UK) based on his 2012 book, Mutiny! Why We Love Pirates and How they Can Save Us. The talk is a powerful account of 18th century piracy and a plea for all of us to become pirates as acts of radical emancipation. What I want to propose is that whenever we see pirates, we see a system in some kind of trouble, whether it involves politics, economics, spirituality, culture or the arts. Pirates send us a signal that something that should be held in the hands of common people, has been taken away. Now if we look back in history, the golden age of pirates, the early 1700s, we see England, Spain, France and Holland trying to enclose the new world of the Americas into their empires. At this time we are right at the birth of emerging global capitalism. The engine of this movement is the ship. And the petrol in the engines are sailors. 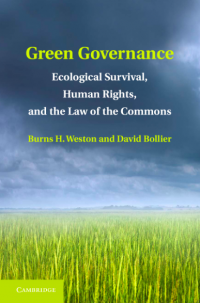 One of the great achievements of the late Professor Elinor Ostrom was the identification of key design principles for successful commons. 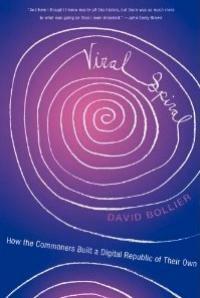 She set forth eight of them in her landmark 1990 book, Governing the Commons. The wording of those principles is aimed at social scientists who study the management of common-pool resources from a neutral, non-participatory, scientific perspective. 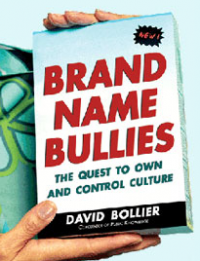 As a result, the principles are not as accessible to the general public, nor do they reflect the direct experiences and first-person voice of commoners. The first German Sommerschool on the Commons, which took place in Bechstedt/Thuringia in June 2012, decided to remedy this problem. 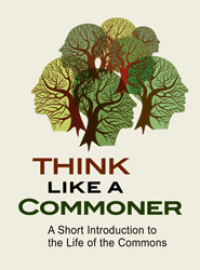 Participants took part in intense debates over what a new set of principles for commoning – based on the Ostrom principles – might look like if they reflected the personal perspective of commoners themselves. The result is a statement, "Eight Points of Reference for Commoning,” which can be seen as a re-interpretation – remix? – of Ostrom's design principles. 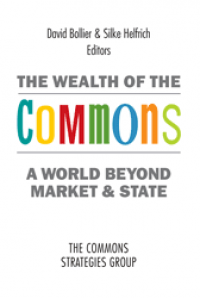 As Silke Helfrich notes on her Commonsblog, the Eight Points of Reference for Commoning “are based on the belief, that commons can flourish in very different contexts.” The German version can be found here. An English translation is below. The German commoners consider the current wording of both the German and English versions as relatively stable, but they invite comments and suggestions for further changes. A major San Francisco museum that celebrates a “hands-on, learning-by-doing ethos” plans to present an exhibit about the commons by letting people experience a taste of its dynamics. As reported in today’s New York Times, the Exploratorium will open a new $220 million facility along the Embarcadero next spring, where it will likely attract larger crowds. The museum will have three times more exhibition space than its current facility, and it will feature exhibits dealing with the environment, microbiology and social psychology. Prototypes have already been tested on the floor of the current Exploratorium. In one social psychology exhibit, some items of modest value, like a calculator were put out at the beginning of the day. Visitors were told they could take an item, provided they replace it with something else. Read more about Will Commoning in England's New Forest Disappear?